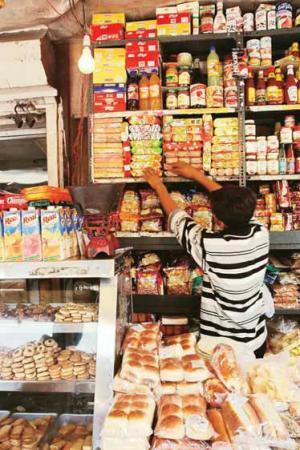 An audit of Food Safety and Standards Authority of India (FSSAI), the country’s premier watchdog on the food, by the Comptroller and Auditor General of India (CAG) reveals gaps in the working of the body. FSSAI is responsible for implementing the Food Safety and Standards (FSS) Act 2006 and CAG found that though it has been more than a decade since the enactment of the act, FSSAI is yet to frame regulations and guidelines to govern different procedures. Neither FSSAI nor the state food authorities have documented policies and procedures on risk-based inspections and the FSSAI does not even have a database on food businesses in the country. Other than this, FSSAI has failed to set up well-equipped food labs in the state too. Only seven out of 72 states laboratories passed the standards issued by National Accreditation Board for Testing and Calibration Laboratories (NABL). CAG pointed out that as the laboratories are not well-equipped, there is a possibility that unsafe food articles continue to be manufactured and sold. The audit report also found that the there is an acute shortage of licensing and enforcement officers in the states which severely affected food safety measures. In case of renewal of the license too, FSSAI did not adhere to regulations. For example, in 49 cases pertaining to Central Licensing Authority (CLA), Kolkata and Guwahati, food business operators (FBOs) applied for renewal of licenses after their expiry. Despite the fact that the licenses had already expired at the time of application, instead of issuing fresh licenses as stipulated by law, CLAs renewed the licenses. The gap between the expiry of the licenses and their irregular renewal ranged from one year to five and a half years. CLAs, thus, irregularly legitimised the gap period of food business during which FBOs operated without valid licenses in violation of section 31 of the Act. For the performance audit, CAG examined FSSAI along with its regional and sub-regional offices in the nine selected states and one union territory between the time period from August 2011 and March 2016. The report was tabled in the Parliament on December 19, 2017. CAG has recommended that FSSAI should expedite the notification of regulation on areas that have been specified in the FSS Act, but are yet not covered. FSSAI would also have to ensure that all licenses issued are reviewed and approved by the Ministry of Health and Family Welfare, before issuing. FSSAI and the state food authorities have to conduct surveys of food business activity under their jurisdiction to ensure a comprehensive and reliable database of FBOs and ensure better enforcement and administration of the FSS Act. CAG has also recommended that the authority may frame standard operating procedures on the formulation and review of standards, and ensure that these are being followed in the near future. Ministry of Health and Family and Welfare should ensure accreditation of all state food laboratories, pertaining to equipment and functionality of the lab.